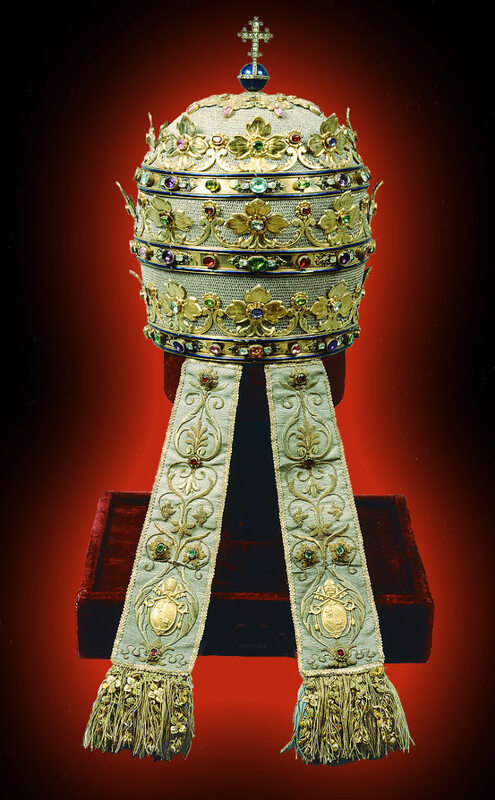 The Roman pontiff was the visible head of the Church, to whom every human being must be subject in order to be saved. In the 15th Century, the Church itself became the primary subject of debate among Christians—upon which all other doctrines depended. 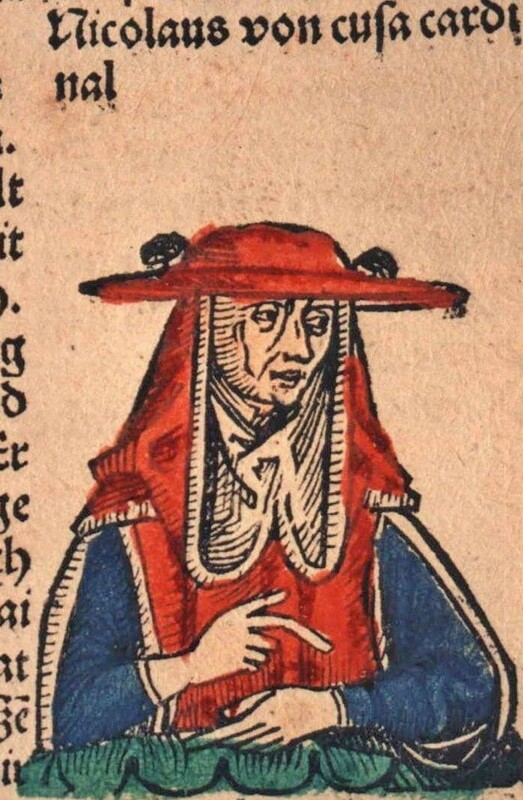 In 1410, Dietrich of Nieheim wrote, “Why is it necessary to work for the union of the universal church if that church is and always has been undivided, unified, and untouched by schism?” He was referring to the totality of those who have been predestined, rather than the institutional church. This supposedly one and indivisible church had centuries earlier been split in two when the Latin West and Greek East separated. 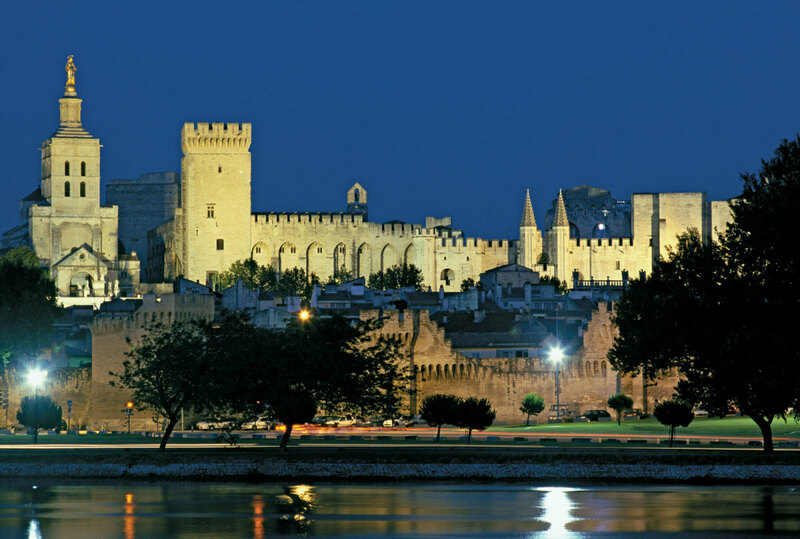 Then in the 14th Century, the loyalties of the church were split between the two popes of Rome and Avignon. In 1409, the church attempted to rectify the problems that were caused by what was seen as a division of power, and to once again unify the Catholic Church under the leadership of one pope. What the church didn’t realize was that their actions would only serve to create a further division, and that their attempts to rectify the situation would lead to the existence of not one, but three popes. This result shattered all pretensions of unity within the church, and made a mockery of the papacy. The Hussite revolt soon followed in Bohemia. 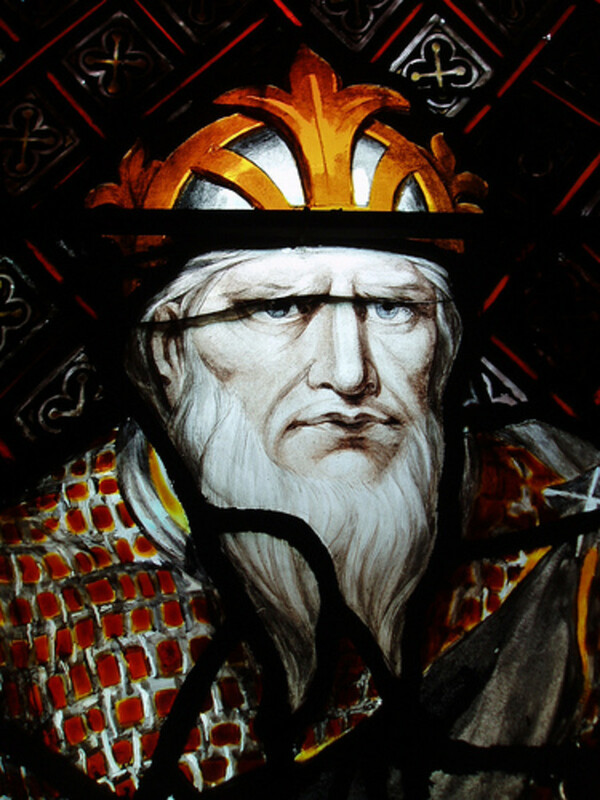 Reformers countered that although Peter had received spiritual authority to govern the faithful in the church; he had not received political authority to govern over kings. 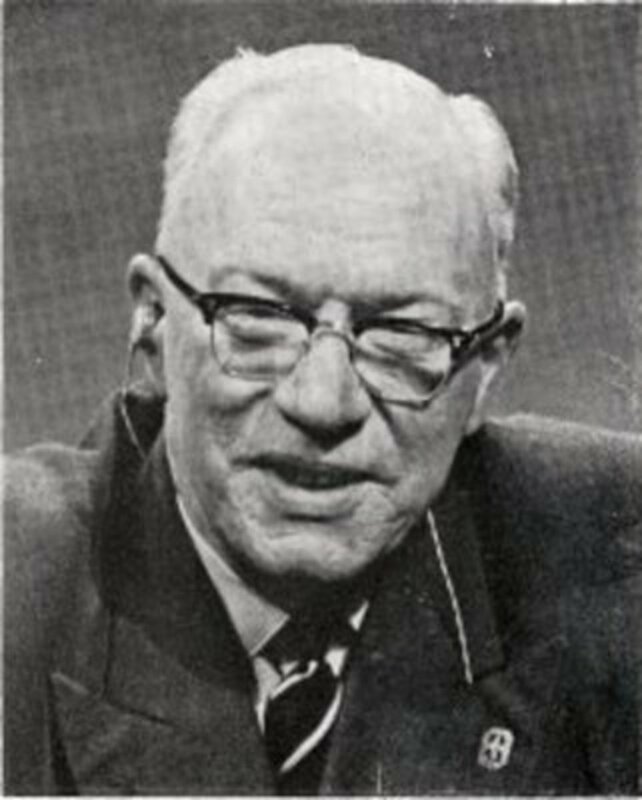 This debate about the church had been stimulated by disputes over the relationship between church and state. 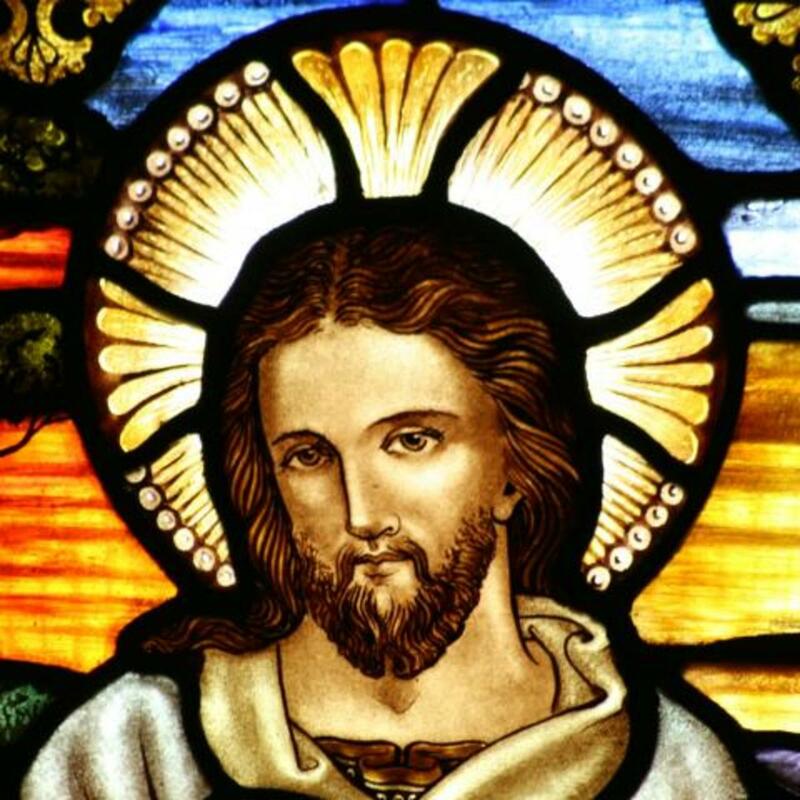 Reformers did not believe that Christ had given the apostles the authority to judge secular princes, nor to use coercive power to enforce their decrees. 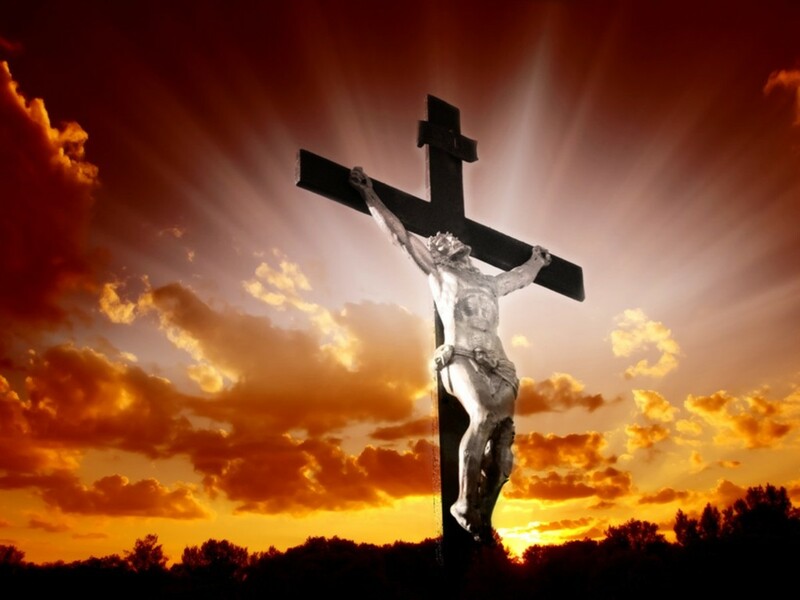 In fact, Christ had explicitly forbidden them this authority in Matthew 20:26. Jesus also said, "My kingdom does not belong to this world." Reformers believed that claiming the pope had jurisdiction in temporal matters by some divine right was a misrepresentation of the nature and mission of the church. 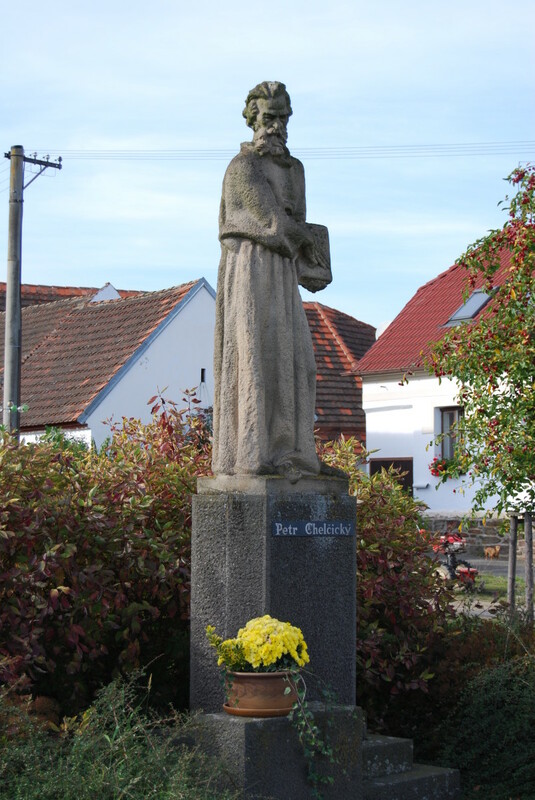 In the 1520s, Peter Chelcicky wrote an influential book with the title The Holy Church. In it, he declared that the holy church was only the company of the predestined, and he protested against the equation of 'Apostolic' with 'Roman' in the definition of the church. Chelcicky ridiculed the notion that “the Church of Christ achieved a state of perfection only in that moment in which it accepted worldly power from Caesar. 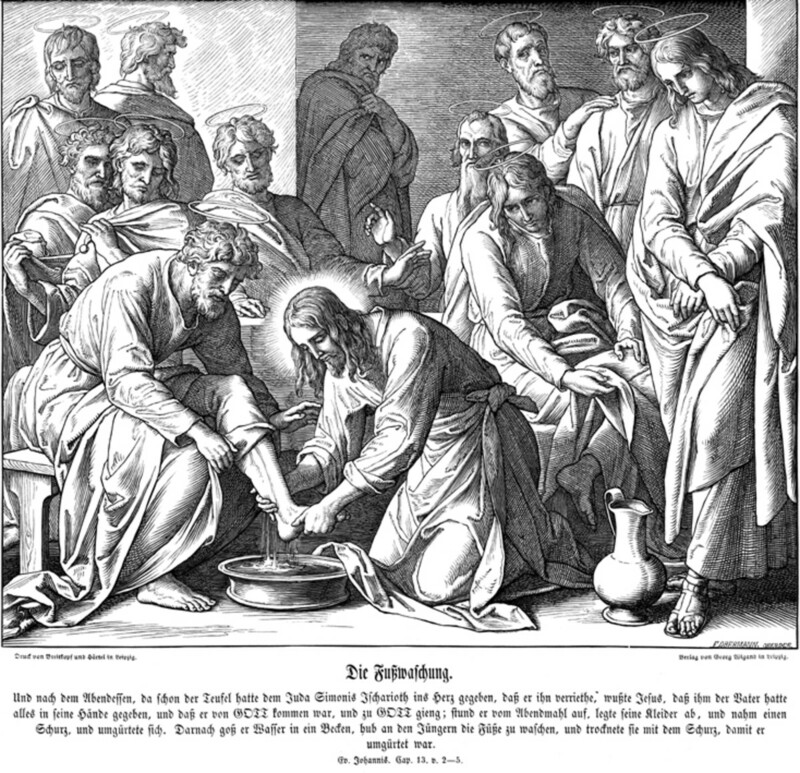 Constantine was a devil who seduced the church by corrupting it with riches and power.” He declared that wicked priests were vicars of the Antichrist. Thomas Aquinas had even said that it was a sin to receive the Sacraments from a priest whom one knew to be an open sinner. Nicholas of Cusa declared, “The church of Christ is holy, even though evil and false men are intermingled under its sacred signs.” He believed that wicked priests should be tolerated, so long as they had been properly ordained. His idea was that this true Catholic Church was without defect and infallible, in that it could not err in matters of faith. There was no record of any errors in faith or doctrine by any universal church council, but this spotless record obviously did not extend to the Roman pontiff. 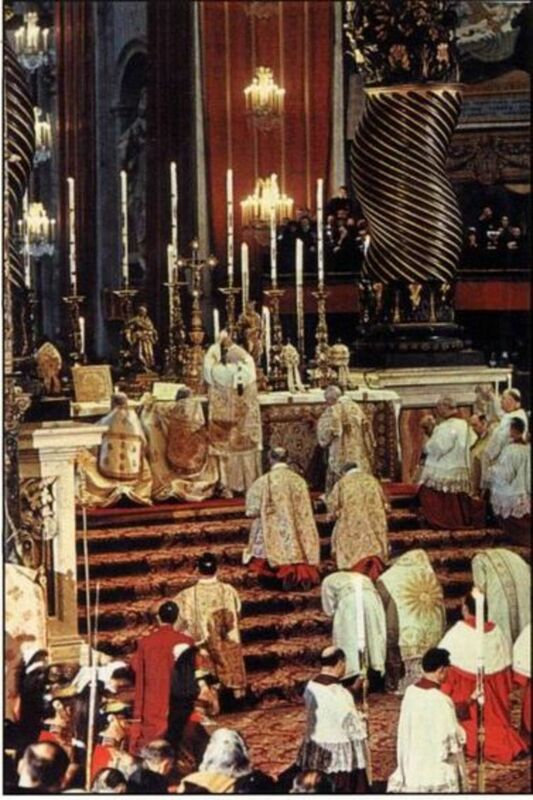 But the Roman Church still lay claim to be the universal church, and declared that the pope himself was the supreme monarch of Christendom, to whom every soul must be subject. 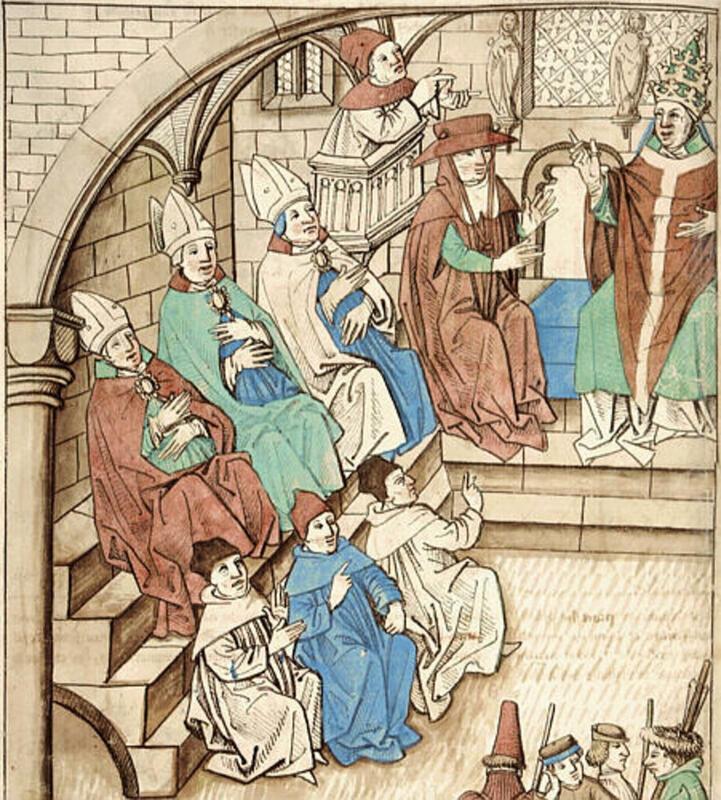 The council decided that not even the sin of heresy could deprive the pope of his authority, as long as he was willing to accept correction; but if such a pope refused to accept correction, and then refused to step down, the College of Cardinals reserved the right to depose the pope and elect a new one. It was agreed that a general council should include representatives from all provinces, as well as representatives from each of the notable Christian communities around the world. But this implied that the entire Greek Church should be duly called to any general council. 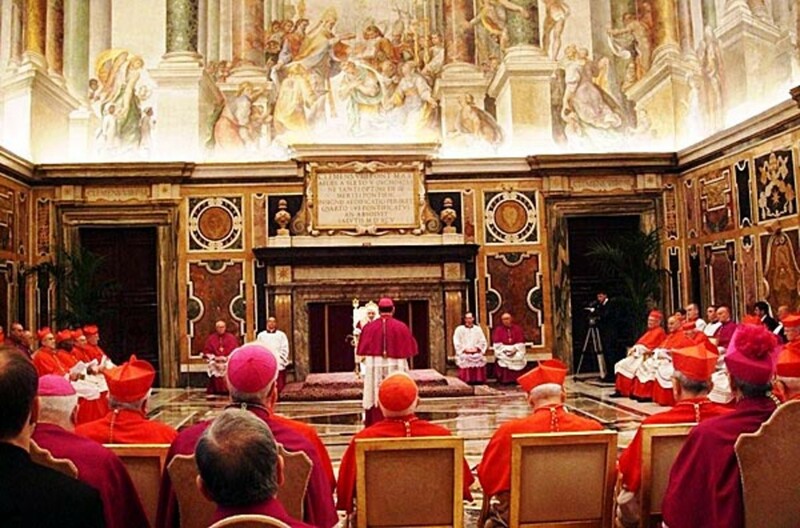 The long neglect of the general council as an instrument of church governance had been very harmful, since it left popes outside of censure, without limitations to their power, and unable to be deposed, except by murder. Some in the Church now called the pope “the man of sin, the son of perdition, the satanic spirit of the Antichrist.” This was a direct result of the three-pope problem. People who would have been horrified at equating the pope with the Antichrist in years past, now found themselves using that term about one claimant to the papacy or another, depending on whom they thought illegitimate. It was a short step from there to the later Protestant view that the papacy itself was the seat of the Antichrist. Because the Church was built on the foundation of the apostles, the consideration of what it was that made the church one, or catholic, or holy, led to the question of what made it apostolic. It was widely thought that the sin of simony had to be eradicated for the Church to be holy. But with two or three popes, some had to ask, who is the Roman pontiff that I must obey? The schism surely undermined the credentials of the papacy, but it also raised the question of what defined an apostolic pope, apostolic council, apostolic authority, and apostolic tradition? If the pope had separated himself from the unity of the Church, should he be obeyed anyway? 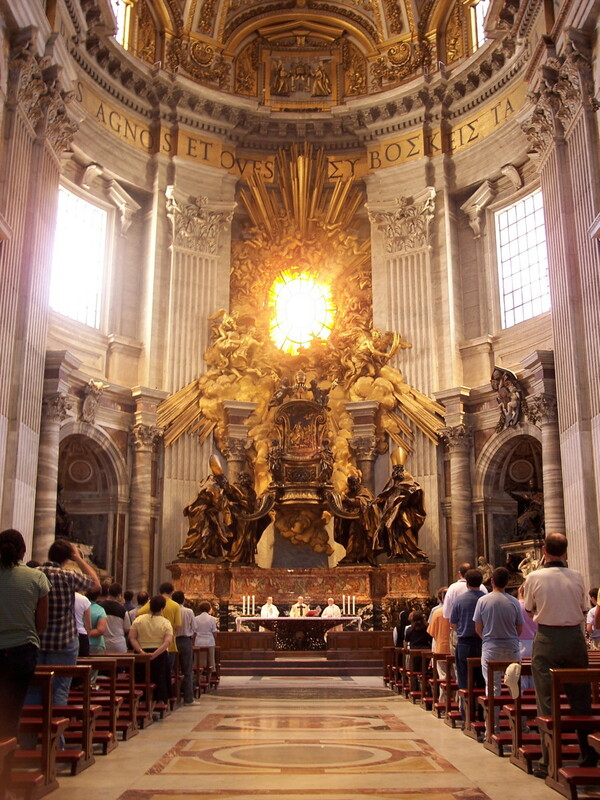 The answer of the Roman Church was that the supreme pontiff was the Church, that his power was spiritual, heavenly, divine, and without measure. But obedience to the church had by now been defined as obedience to the church council. To Jan Hus, the false apostles of whom the New Testament warned were those who spoke with a different voice from that of the genuine apostles and who deceived the souls of true believers, for the successors of the apostles were those who faithfully preached the Word of God. 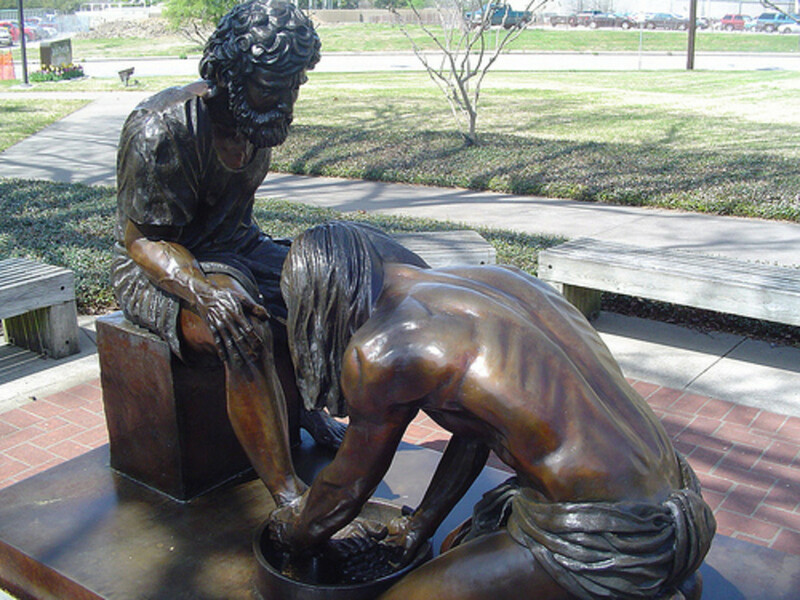 The New Testament did not in fact place Peter in Rome at all. As Gregory the Great had already observed, there were two sees of Peter, since he had surely served as prince of the apostles during his tenure as the first bishop of Antioch. Hence, the Petrine primacy was not necessarily tied to Rome. 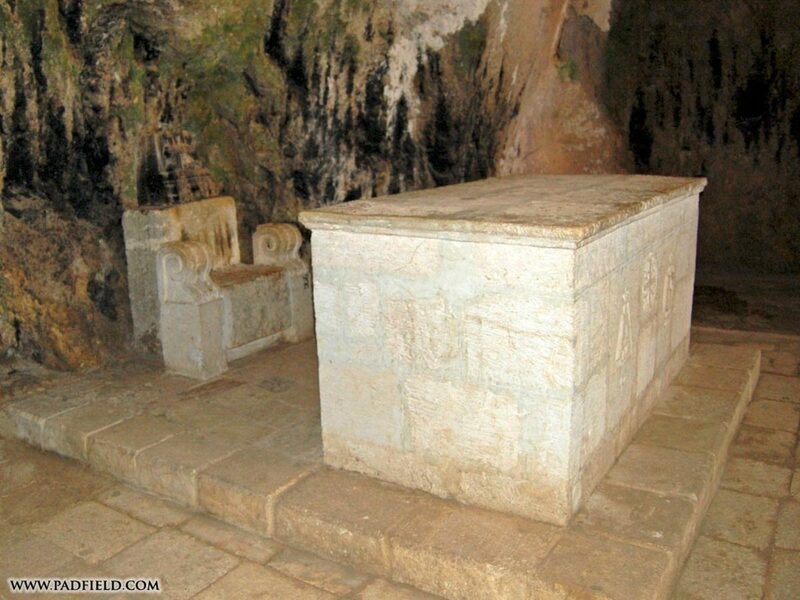 The Patriarch of Antioch could make a reasonable claim to succession from Peter as well. Besides, the papacy had resided in Avignon for seventy years in the 14th Century, and therefore it was wrong to argue primacy based on location, since Petrine hadn’t meant Roman during those years. Everybody had to admit that there was great difference between the apostolic, or primitive church and the present church. 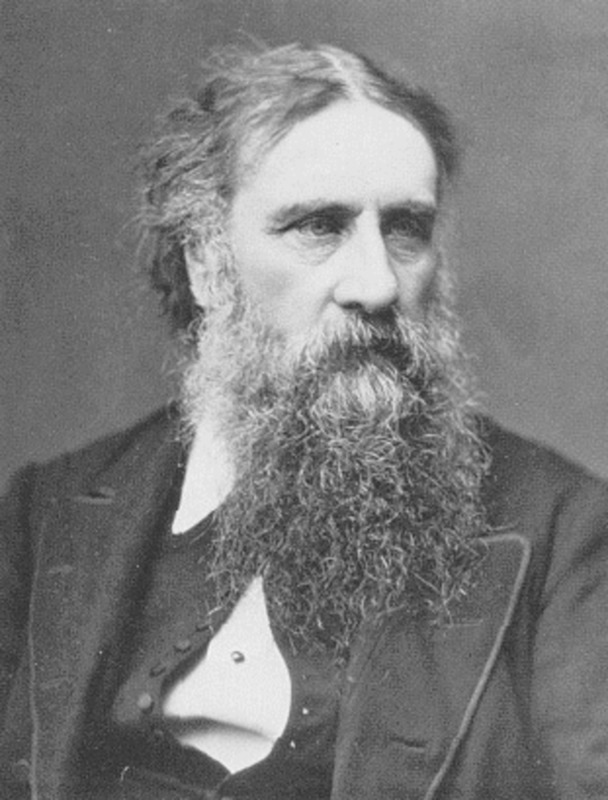 The first few hundred years of Christianity had been a time when Christians abounded in virtue; when the church practiced a community of goods; when the clergy were saintly; when even little children were well versed in the knowledge of Scripture; when doctrine and morals shone in the light of the Holy Spirit; when the fervor of genuine repentance was in the air; when the imitators of the apostles avoided the use of philosophy. This was quite the contrast with the Church of the 15th Century and its selling of Indulgences. From this analysis came other ruminations, such as “Why are there so many Catholic truths that are neither contained nor implied in the Bible?” Did the Church have doctrinal authority to promulgate—as apostolic doctrines—beliefs that were not in the Scriptures? Later Protestants would have a problem though with their insistence of “Scripture Alone!” The Catholic Church had determined what is Scripture and what was not. Thus, the very Church it was now being used against had authenticated Scripture. 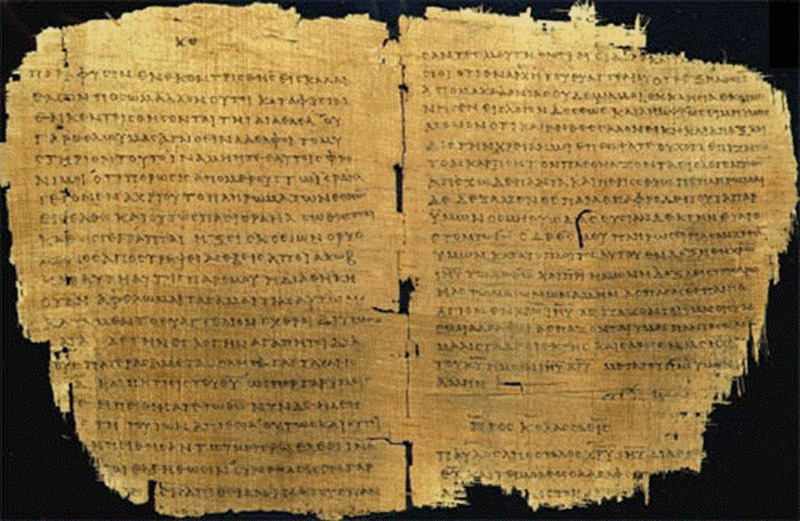 The Church had decided which writings were inspired by the Holy Spirit, and also claimed that the same Holy Spirit had guided its interpretations and teachings. In this sense, Scripture and church tradition both could claim apostolic authority. 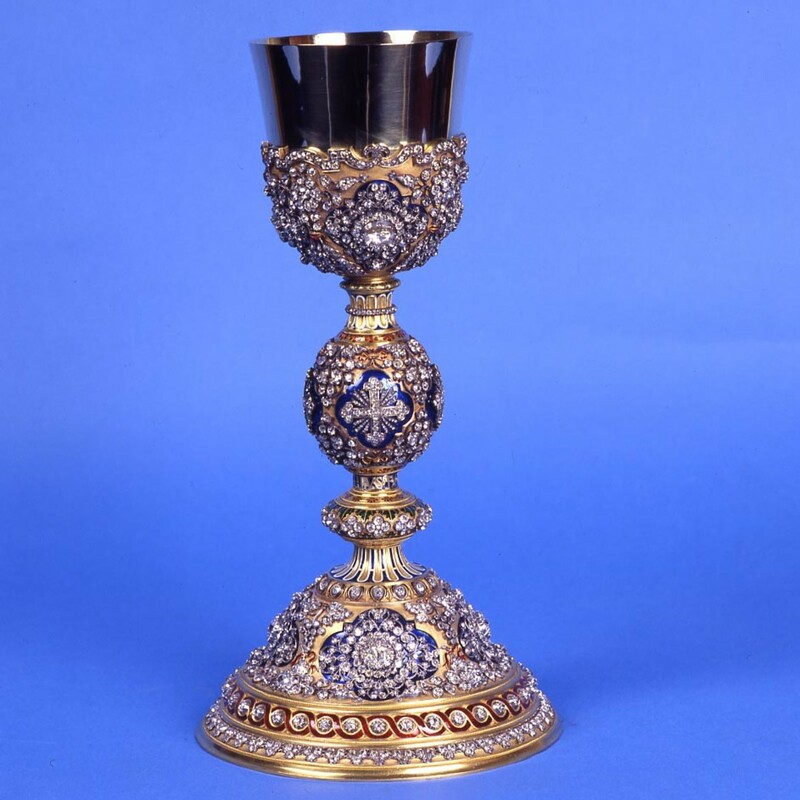 The Mariology of the time undeniably went far beyond the Bible, but even more disturbing was the unscriptural denial of the chalice to the laity in Holy Communion. Why did the Roman Church change the pristine practice of the primitive church of using both species? Was it because the growth of evil in the Church had diminished devotion? Gabriel Biel proclaimed, “The truth that holy mother church defines or accepts as catholic is to be believed with the same veneration as if it were expressed in the Bible.” Without the authority of the Church, were not the truths in the Bible to be trusted? 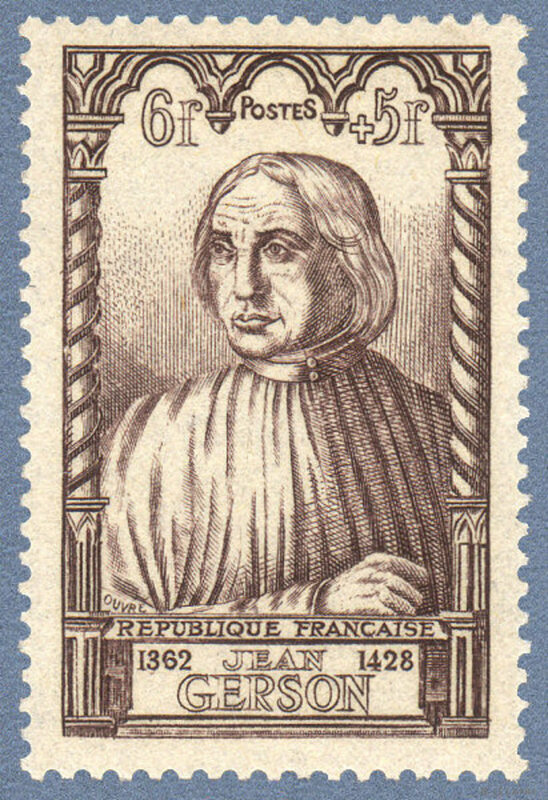 Jean Gerson wrote about nearly all of the issues facing the Church in the 15th Century. In 1402, he pronounced that the primitive church had much greater authority than the church, the council, or the pope of his day. In 1409, Gerson said the Catholic Church had the final say so in all matters. In 1414, he wrote that individuals do not have the right to interpret Scriptures for themselves. In 1416, Gerson argued that neither the Church nor the Scripture had credence without the other. In 1417, he declared that the Church had the authority to determine the Canon, and that theologians must subject their private opinions to the public doctrine of the Church. In 1423, Gerson asserted that since Christ would always be with his church, this made the Church equal to the Bible. My source for this article is the book Reformation of Church and Dogma by Jaroslav Pelikan. Paraglider! Hey man, it is great to hear from you. I haven't been on this site much lately as I have been quite busy with other projects. But I checked in and here you are with an encouraging word. All is well and I hope all is well with you. kevins blog52— You are welcome. I am not Catholic either, my new friend. But I saw you love history, philosophy, and the blues—plus you are from the Midwest, as am I.
I look forward to reading some of your Hubs. Thank you for reading this one. I appreciate your kind compliments. Welcome to the HubPages Community! I'm not Catholic James I have to agree with 50 caliber, but that was very interesting, and well written, you no doubt did some home work on this one. Thank you for following me I will return the favor. terced ojos— I agree with you 100% that Christians should learn the history of their religion. It was the Holy Spirit that told me to write this series. It has required weeks of research to do so. Thank you for taking the time to read my article. I appreciate your insightful remarks. Enlydia Listener— Now that's a hat! :-) Thank you for visiting my Hubs. I appreciate you letting me know you were here. Hmmmmmm. It astounds me how many Christians don't seek the historical knowledge necessary to have a practical understanding of scripture. Often the Holy Spirit is envoked as a be all to end all concerning the infallibility of the Bible. When historical evidence and accounts of who did what and said what when comes into the picture; the Bible as viewed from an enlightened mind becomes in some ways a very different collection of historical truths. I am saying that to say this. Christians need to learn the history of the Christian church. The reformations, the Crusades any and everything that has gone into the current formation of the "Christian Church" denominations notwithstanding. Very real pertinent evils have been perpetrated by the church; past and present. Many of which shape our current social schisms. Many things that have never been adequately repented of or made right. Good Hub. Food for thought yet again. I like your stuff...this must have taken a lot of research...I still have the picture of the pope's hat in my head...great visual. stars439--- Thank you, my friend, for your kind words. I do the best I can. The church has such magnificent history that you bring to life. God Bless You. Disappearinghead--- Thank you for the compliments. I greatly enjoy putting together and sharing this information. careconservation--- Thank you. Welcome to the Hub Pages Community! djbraman--- I am sorry I did not respond sooner to your comments. I have been away at a retreat for several days. You are welcome. Thank you for your lovely compliments. I, personally, may not have quite as harsh a view about the failings of the churches. I think a lot of good people do a lot of good to help others grow in their spirituality. But your general theme does find me nodding in agreement. Welcome to HubPages. After reading your wise words, I surely look forward to reading your Hubs soon. Very well written. Interesting information that the church today has largely lost. It is interesting, historic and academic too. "Hidden in plain sight was the throne that consumes all earthly thrones with ample paper to clean up the mess!" I love your wise comments, Dusty. It is always a pleasure to hear from you. I am off for a three day trip out of town now. I'll catch up with y'all when I get back. I have a date with a Christian Men's Retreat in Virginia. Hold down the fort. Michael Shane--- You are welcome and I thank you very much for the compliments. I am glad you are writing about a similar subject. I very much look forward to reading your Hub. Thanks for coming by to visit and for your comments. Hxprof--- The professor is in the house! No sir, I do not agree with you about one key factor: that you left too much commentary. Your commentary is precisely the right length. I enjoyed reading--and I agree with--every word you wrote. That's great stuff, man. Thank you very much for illuminating the discussion with your acute observations. "redefining of the Church from being an Organism to an Organisation, and the degeneration of the pastoral Calling to a Career, and where the Pope became a Politician"
"popes fathering multiple bastards to Vatican whores"
"The idea that God no longer does such things today is simply an excuse by those who never see them happen as to why they don't. . . What an abomination when the world is crying out for the power of God"
That's deep, my friend. God Bless You! susansisk--- Thank you for your gracious compliments. I am gratified by reading your words. Pamela99--- I am well pleased that you found my article interesting and that you liked the pictures. Thank you for letting me know. I appreciate the affirmation. 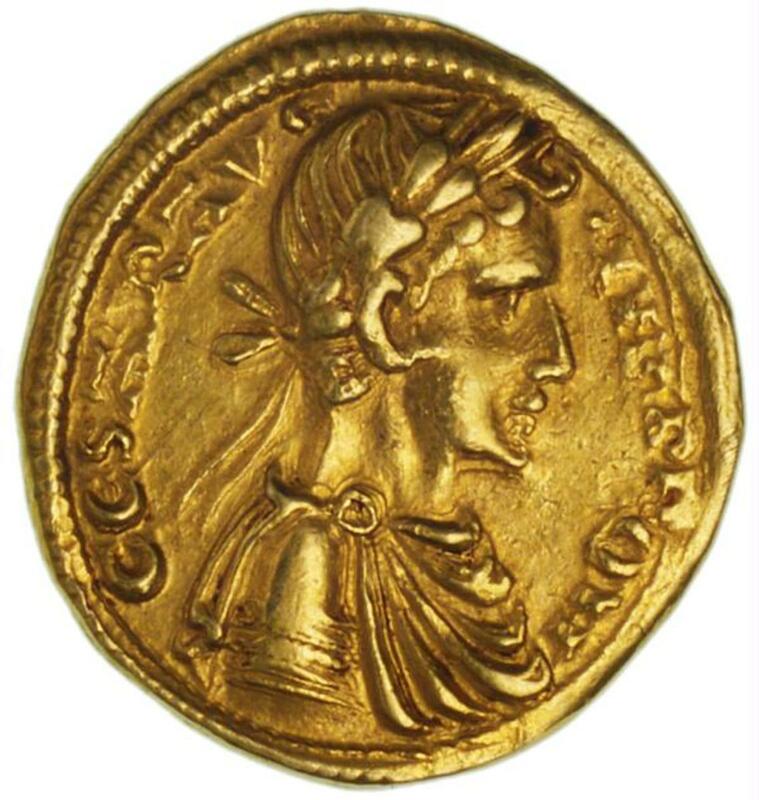 Constantine was not interested in legalizing the church for his belief in Christ but to rule a Kingdom that happened to have a majority of Christians and Jews. His greed robed us of our Hebraic roots. It's not a lot of difference in the legalistic churches today, they are not interested in your salvation, but to maintain a status and image for themselves and put burdens on the people that does nothing to bring joy, peace and knowledge of how to grow spiritually. Good hub and thank you for your precious insight, discernment and knowledge, you are in the position to bring unity to Christ's church and you have the boldness to help people understand that legalism is false teachers that try to entrap us into a religiosity that kills our spirits, life that Jesus died to give us. Great hub! Hello, hello,--- You are quite welcome. Thank you for your ongoing support and encouragement. I really appreciate you! jesusmyjoy--- You are welcome. I am well pleased that you enjoyed the pictures. Thanks for coming. carolina muscle--- Thank you, brother, for your warm words. creativeone59--- You are so welcome, my dear. Thank you for your fine compliments. "people apostatized away from the church system that Christ set up. The influences of man and his philosophies entered into the equation and corrupted the church." I don't think there is any question about this. Excellent insight on your part. "all leaders in the church must be called as Aaron (the brother of Moses) that is called by revelation to direct and lead in the church. And that leader is encourage to fill his duties through prayer, fasting and revelation so that he is doing it to Christ's will." This is as it should be. Thanks for sharing that. "Quill"--- Thank you very much for coming by to visit and for your gracious words. I appreciate you. prasetio30--- Considering your religious persuasion, I appreciate you all the more for taking the time to come by and read my work. Thank you for your comments. Tom Whitworth--- You are quite welcome, my good man. Yes-it is a miracle. That simply adds to the supernaturalness of the whole story. RevLady--- I am very glad that you found my article to be exciting, interesting, and stimulating. That makes it all worthwhile. Thank you much for visiting me and leaving your warm words. Vlaidimir Uhri--- You're welcome. Thank you for your comments. Kaie Arwen--- Thank you for being my first visitor! It is always a pleasure to see you. I surely appreciate your accolades. And you are welcome. I'm glad you liked the pictures, too. James, Sir! I laughed out loud! While I may have mis-interpreted your intent, I will feel free as usual to add mine. 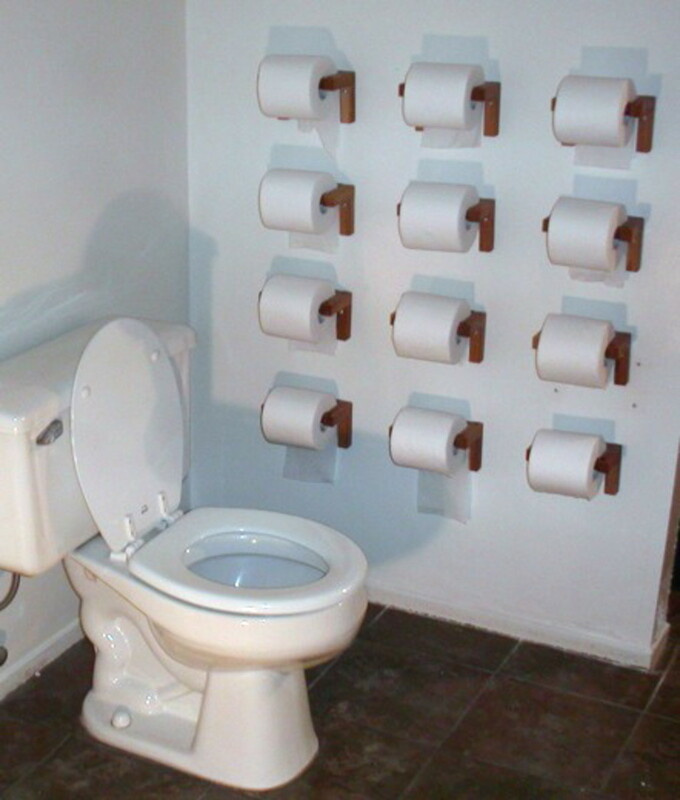 Hidden in plain sight was the throne that consumes all earthly thrones with ample paper to clean up the mess! Me, should I chose a wife and family unit is the head of said family unit, until such time, as to a son reaching the age of culpability leaves my roof, as well as a daughter who reaches the age of culpability leaves my roof and marries evenly yoked with another in Jesus Christ who then becomes her Head, or she chooses to not marry I would assume she would become the Head of her home. All these Pope on a rope and bishops and archbishops and Cardinals (I assume are flying bishops, that eat bird seed) and on and on with a military type chain of command is pure old RD Bull manure, unless I slept through the part of the Bible that lays out more than overseer, (preacher)and Deacons/Elders in the church setting, seems like 1 Timothy in my mind. If I have crimped a toe by stepping on it, I apologize here and now as long as one can show me this chain of command in the Bible sans any Old Testament teachings. Not to say I disregard the O/T, I use it often for great stories of Gods direct interaction with men that was replaced from law to Faith with the offering of his son bringing us to Faith. As always, James You have done well. Great Hub James! I have one coming soon that is similar in ways but different too! I was afraid in the beginning of this you may have already covered everything I had prepared but I think its safe to publish it soon....thanks for the awesome hub! This is a richly detailed description of the battles fought for a return to sound doctrine. It's absolute truth that Peter didn't receive any greater authority than the other disciples. Further, Christ NEVER made provision for one person to be considered an infallible leader of His church. He told His disciples to, "Go out and make disciples of all nations"-meaning those who were called by the Holy Spirit to salvation were to be led into maturity by the disciples. They were to help Christians reach the same maturity they had reached-that is to stand on their own two feet of faith hearing rightly from Christ who said, "My sheep hear My voice". "My sheep hear My voice"....not the voice of Paul, Peter, James or John, or of my pastor, priest or of the Pope, but the voice of Christ Himself. Paul admonished some Christians who were claiming to have been 'saved' by Paul, Peter or Apollos. Paul set them straight-"Did I die for you?" No, Christ did. We're to be obedient to Christ, not the church per se. Granted, the church was led to place some books in scripture and others not, but did that somehow give the church the right to ordain practices that were non-scriptural? That is an argument from Hell. Yes, some new Christians early in church history carried with them practices from their old way of life; that doesn't give those practices value. All it demonstrates is that they were immature Christians who'd yet to be freed from all their sinful connections to their previous way of life. Paul spoke in detail about this kind of thing. Too much commentary here James, sorry. Your writing does at times inspire me to comment more than is proper. Excellent as usual and a fine analysis of much that has afflicted Chritianity of 1700 years. Although the rot set in long before Constantine, his redefining of the Church from being an Organism to an Organisation, and the degeneration of the pastoral Calling to a Career, and where the Pope became a Politician, has left a lasting legacy that has all but made the Church a laughing stock. 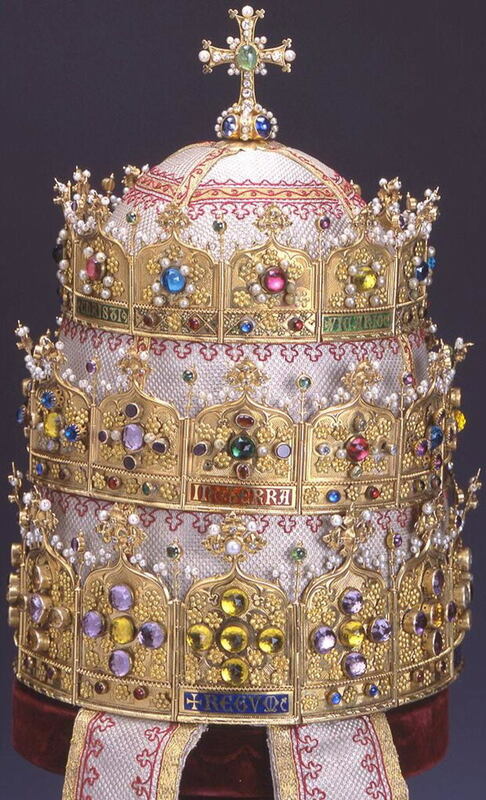 Three popes, popes fathering multiple bastards to Vatican whores, rampant simony and nepotism...You name it, someone of the cloth was up to it. But what was most unforgiveable was the misleading of the flock by an unqualified and largely unbelieving clergy away from the true faith and into an anaemic counterfeit which declared that what they were no longer capable of themselves, had no validity in the Church. Anyone who has seen the terminally ill healed, the dead raised and prophecy operating in razor-sharp clarity knows that neither the Holy Spirit nor the power in which he operates have ever changed. The idea that God no longer does such things today is simply an excuse by those who never see them happen as to why they don't. They have simply hammered God into a box as small as themselves and invited others to climb in with them. What an abomination when the world is crying out for the power of God and the atheist community makes open sport of the Bible as myth because so much of the Church cannot demonstrate what it claims. Your article is a timely reminder that there is nothing new in anything I have said, but that faithful men and women of God have been well aware of such discrepencies since the inception of the Church's institutionalisation. Very informative hub. You are very knowledgeable. I learn a lot from reading your work. James, Another piece of Christian history unfolded. This is so interesting and I didn't realize there was so much controversy. I enjoyed the pictures as well. Hello, James. and thank you for a great article. Your hubs getting better and better. Yourstatements right through are exactle the outlook of mine. When you look at it, they couldn't be further from the truth of the real teaching. The very pomp makes me sick. Congratulation and thank you. Once again you capture history in a remarkable way! Thanks for posting this hub with great pics!!!! James, this is very interesting. I like to learn more of this dealings of the church in these day. I have great admiration for you and the religions of the world. You know, being LDS we believe that the people apostatized away from the church system that Christ set up. The influences of man and his philosophies entered into the equation and corrupted the church. Where is the constant revelation to the leaders of the church to keep the church going as Christ is it up. Instead there are committees setup to decide on doctrine and how the church is ran. As in our church, we believe that the leaders of the church are prophets and apostles. That they receive constant revelation to run the church. That all leaders in the church must be called as Aaron (the brother of Moses) that is called by revelation to direct and lead in the church. And that leader is encourage to fill his duties through prayer, fasting and revelation so that he is doing it to Christ's will. And when I see information like you presented I can't help but see this and I want to let other know what I believe to be true. I hope that I did not offend you or anyone with this. I appreciate the work you do with history of this. I am searching and trying to find all of the facts out about Martin Luther, and the story that he put a note on the church door somewhere, that the true church of Christ was not on earth anymore. I have heard many people talk about this, and I am trying to find out what really happened. I understood he did a thesis on something about how people had to live on faith now, and the the ordinances and the church did not apply anymore. A hub on this would really help me understand what he actually did. We do see history repeating itself do we not. Nice information. As a Muslim I am glad to know the history about Christian. It open my eyes about other religion. And I really appreciate that. Thanks for the insight into the politics of the early church. With all the infighting it's a miracle the Word ever survived. wow! James, truly awesome! Thank you, some really great history here! James, this was so exciting to read this hub. Parts of it reminded me of today such as "“Has not the entire state of the church become somehow brutal and monstrous? Which shepherd today would give his life for his sheep? In fact, which shepherd has not been transformed into a wolf that devours their souls?" Don't this ring a 21st century bell? Great lesson in church history. Very interesting and gave the cerebrum stimulation as well. I like only one throne. James- I have to tell you........... every chapter of this series just gets better and better! You've taken what some people might immediately turn away from as a "dry" subject, and have made it what I consider to be a not only a great but "educational" read as well. Thank you for all of your hard work! Whoops............ forgot to mention the pictures are great!